The light green on this map is a blizzard watch. The hunter green near the Mississippi is a flood watch. 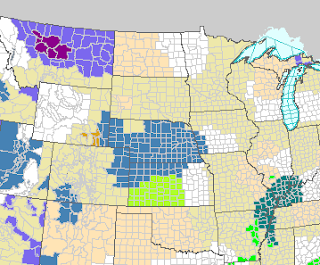 And the blue centered around Nebraska is a winter storm watch. And, the purple in Montana is an ice storm watch. The colors are only going to grow the next couple of days. 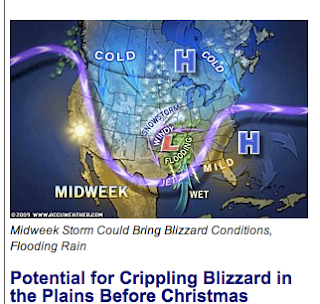 AccuWeather has coverage of all of this. This is a potential major storm and I recommend that people be prepared to modify their plans around the weather.